Patients with known cirrhosis and prior hepatic encephalopathy. Patients with or without known cirrhosis but suspected liver disease and altered mental status. The West Haven Criteria allow providers to classify severity of encephalopathy, communicate clearly about a patient's level of consciousness, and trend changes in their mental status. There should always be consideration to other causes of altered mental status in these patients, as they are at high risk for comorbidities including bleeding, infection, drug interactions, and electrolyte disturbances. Hepatic Failure: An Evidence Based Approach in the Emergency Department. Emergency Medicine Practice, 2010. Peter Ferenci, MD, is a professor of medicine at the Medical University of Vienna, Austria. He practices within the department of internal medicine, gastroenterology and hepatology. 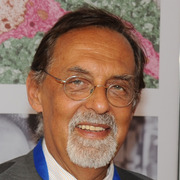 He is Dr. honoris causae at the University of Cluj Napoca, Romania and the Semmelweis University, Budapest. Dr. Ferenci has published over 600 articles and abstracts on subjects including treatment of chronic viral hepatitis, inherited liver diseases and liver failure.